Joel Meyer wanted to get his Zeeland Christian School second-graders excited about history. But after a walk to the Dekker-Huis Museum, he could see some of the material was a little over their heads. "We decided to make a more kid-friendly version," he said, and back the group went, this time armed with iPads and what teachers call "project-based learning" as a goal. Using a timeline and some help from Zeeland Historical Society member Dorothy Voss  who, "like an awesome grandmother," Meyer said, visited classrooms  met Meyer and fellow teacher Morgan Gilman's students at the museum. The students, all 8 and 9 years old, started documenting Zeeland history from their young viewpoint. Voss, a charter member of Zeeland's 40-year-old historical society, chuckled as she recalled the kids' museum visit. Yes, it looked "like chaos," she said, The resulting displays, which include 19 picture books, are both delightful and a far cry from the museum's early days, when installing an exhibit required finding just the right objects, often heavy ones, and having to lug them into place, she said. 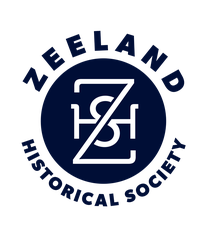 Gilmans students concentrated on early Zeeland buildings and why people decided to leave the Netherlands and come to the U.S.; Meyer's students drew pictures of the people and their lives. He and each student produced a booklet. Meyer also wrote a song, "Its Clear How You Made it to Here," to go with his book. He and his students "are practicing it feverishly" to perform it for Zeeland City Council on March 17. But he and the class also recorded it for the museum display. 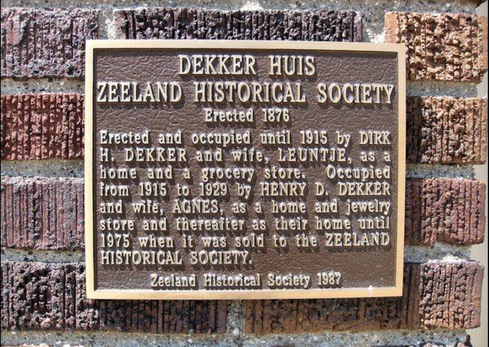 WHERE Zeeland's Dekker-Huis Museum, 37 E. Main Ave.
For the students, Meyer said, "the big wow factor is 'our stuff is going to be in a museum!'" Voss said the project is exciting because "it's getting more parents of young children into the museum. That's our future, you know: children." Zeeland Historical Society members are planning a 40th anniversary celebration for later this year.